Mysore Sandal soap is one of the most popular soaps in India, holding a special place in the hearts of Indians for more than a century. This soap is made from vegetable oils and contains Natural Mysore Sandalwood oil, popularly known as 'Liquid gold'. The oil of Sandalwood is recommended in ancient ayurvedic texts for skin care and has excellent antiseptic properties. Sandalwood oil - a nature's gift, emanates lingering fragrance, keeps your skin glowing, soft, blemish-free, forever young and beautiful. Explore the entire range of Soaps available on Nykaa. 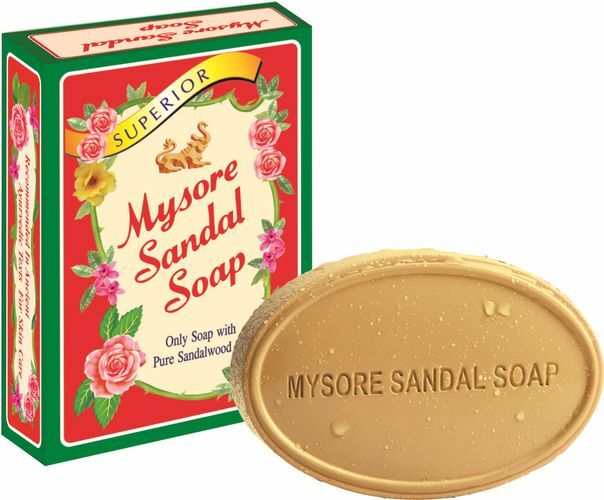 Shop more Mysore Sandal products here.You can browse through the complete world of Mysore Sandal Soaps .Alternatively, you can also find many more products from the Mysore Sandal Soap range.